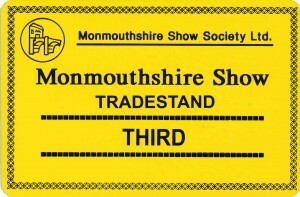 Home &sol; archive &sol; We win an award at the Monmouth Show! Dean Forest Beekeepers won third prize from the judges at the Monmouth Show on 27th August. Even though the weather wasn’t so good we had a lot of visitors to our stand. Thanks to everyone who helped on the day, in particular Warren for the excellent marquee that he provided and Gareth for providing the bees for the bee tent.